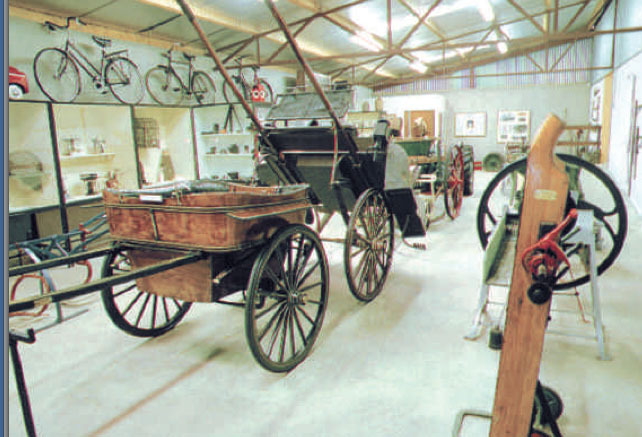 The Ulster American Folk Park is situated 3 miles North of Omagh on the A5. The Folk Park is an outdoor Museum, which tells the story of emigration to North American in the 18th and 19th Centuries. The Old World and New world layout illustrates the various aspects of emigrant life on both sides of the Atlantic. The Folk Park organises a programme of special events, which attract many thousands of visitors. 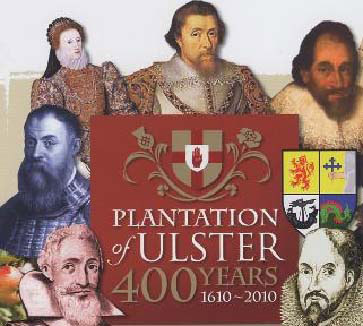 They are a key element in the Park's interpretation of living history and provide fascinating insights into life in the 18th and 19th century Ulster and America. A number of events such as the Appalachian and Bluegrass Music Festival and the Halloween Festival have become established favourites. Facilities include Restaurant, picnic Areas, Craft and Gift Shop, Conference/Meeting Rooms, Free Coach and Car Parking, Bureau de Change, Disabled Access. Guide to one of Northern Ireland's most beautiful regions. Ruggedly criss-crossed with a pattern of mountains, moors and inland waters, this striking landscape has remained virtually unaffected by the passage of time. So too has the heritage, culture and the peoples of the Sperrins, even by Irish standards, we are renowned for our special warmth and hospitality. The famous walls have withstood several sieges, the most celebrated lasting 105 days. Fine views from the top of the walls which encircle the old city, a circuit of one mile. Free access always. 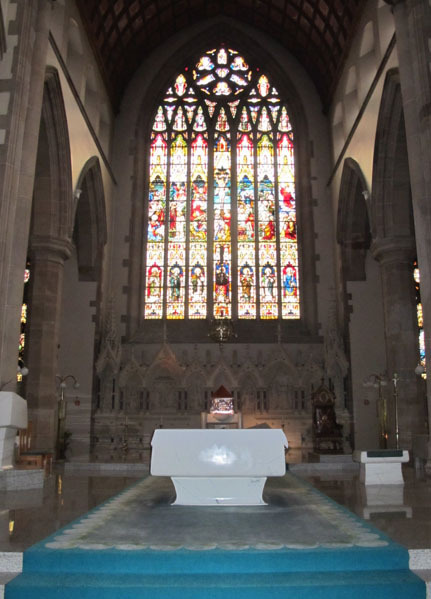 Guided tours available, follow the link. Waterworld in Portrush has been established as one of the country's major visitor attractions since it opened in 1986. 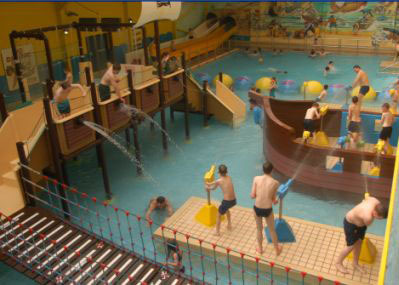 In 1996 the Complex's unique fun pool is undergo- ing a major refurbishment and transformation before reopening in mid June. The central new feature is an inter active water playground for children. This colourful and exciting attraction will be the first of its kind in Northern Ireland and only the second anywhere in the U.K. The ever popular twin water slides are also under- going an update making for even more enjoyable and thrilling experiences. 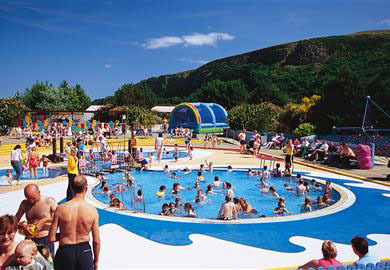 Other attractions include air bubble loungers, mini slides and a layout which now encompasses an improved area in which to swim. The renamed and colourfully themed Pirates Cove pool will reopen with all of the other facilities in time for the peak summer season. A bumper season of afternoon entertainment and top class evening shows is also planned to ensure that families visiting Portrush can really have something to enjoy - all under one roof - Inside at the Seaside! Tel: (028) 7082 2001. Boat from nearby eel fishery on display. Stone age artefacts from the Bann Valley. Open Thursday and Saturday afternoons June-August. Replica of the curragh that took St Columba to Iona in the 6th Century. Open weekdays. 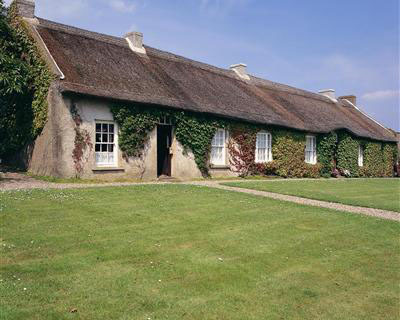 Thatched rectory, now a National Trust property. Open April-September. Phone for times. The great medieval church of Templemore once stood here. Open daily. Nearby is St Columb's holy well. Rare sheep and pigs, exotic game birds. Open daily March-August. Memorial to Arthur Sampson, agent for the Fishmongers' Company. Free access to grounds, tower not open. On A2, a mile west of Limavady, on edge of Farllow Wood. Roman Catholic cathedral completed in 1873. The 256ft spire was added 30 years later. Open daily. The magnificent Banagher Lake and Forest can be found three miles west of Dungiven. 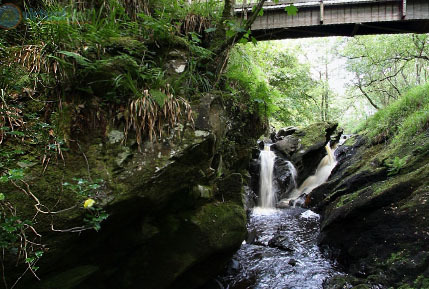 Spectacular and panoramic views can be enjoyed within this beautiful Glen which is a paradise for ornithology. 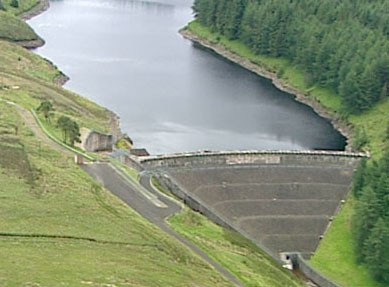 The Banagher area includes County Londonderry's largest commercial forest and Altnaheglish Reservoir, used for the supply of water to Londonderry and Limavady. 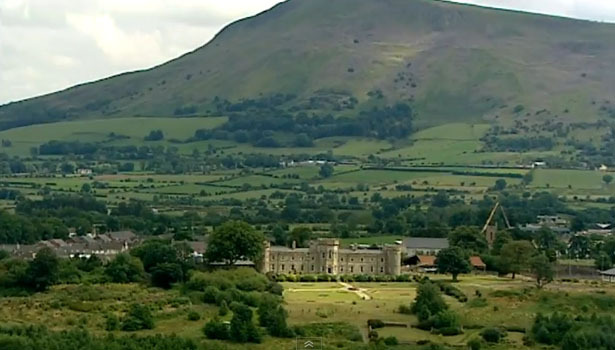 This superb attraction is similar to Silent Valley in Co. Down and offers tourists the opportunity to enjoy one of the most impressive facilities in the Province. From the Bishop's Road there is vehicular access right to the summit of Binevenagh (1,250ft). There are car parks and picnic facilities here too, also, to the surprise of visitors, a man-made lake known as " Binevenagh Lake" stocked with brown and rainbow trout. 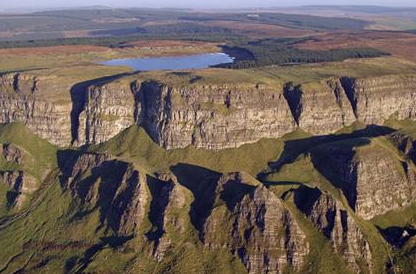 The western face of Binevenagh mountain rises with bold and precipitous elevation, but its other sides ascend gently and are partly heather clad and partly afforested, providing habitat for several rare species of fauna and flora. 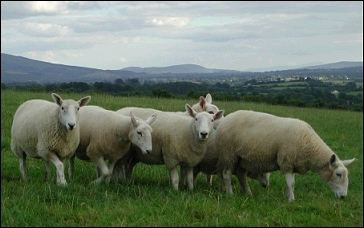 The whole area is a splendid place for hill walking, encompassing part of the Ulster Way. There are car parks and picnic facilities here too, also, to the surprise of visitors, a man-made lake known as " Binevenagh Lake" stocked with brown and rainbow trout. The western face of Binevenagh mountain rises with bold and precipitous elevation, but its other sides ascend gently and are partly heather clad and partly afforested, providing habitat for several rare species of fauna and flora. 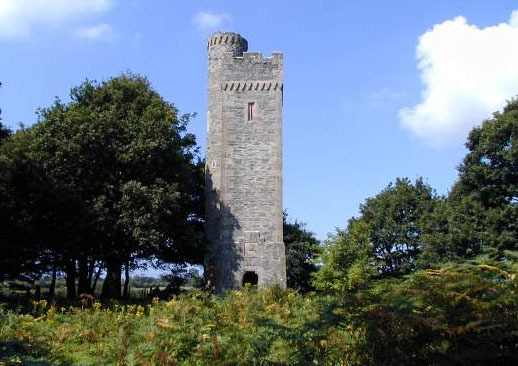 The whole area is a splendid place for hill walking, encompassing part of the Ulster Way. About a mile west of Limavady and standing right beside the Limavady to Ballykelly Road is the Rough Fort, a remarkable prehistoric earthwork fort of about an acre in extent. It is picturesquely surrounded by pine and beech trees. There are no records of the building and use of such forts, or raths, several of which are to be found in Ulster, but it is probable that they were defended farmsteads into which livestock could be driven in times of emergency. 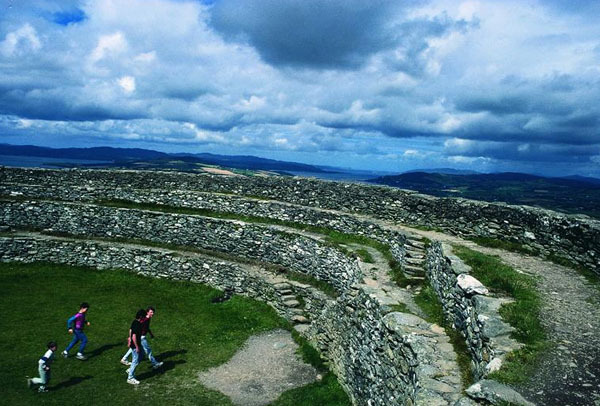 The Rough Fort is one of the best examples of an earthwork ring fort in Ireland, and is now in the care of the National Trust. 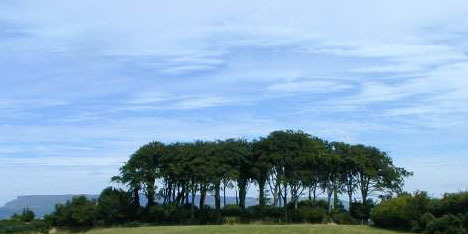 The remarkable flat sandy Magilligan peninsula forms part of the northern boundary of the Limavady Borough and is of particular interest for historical and scientific study. 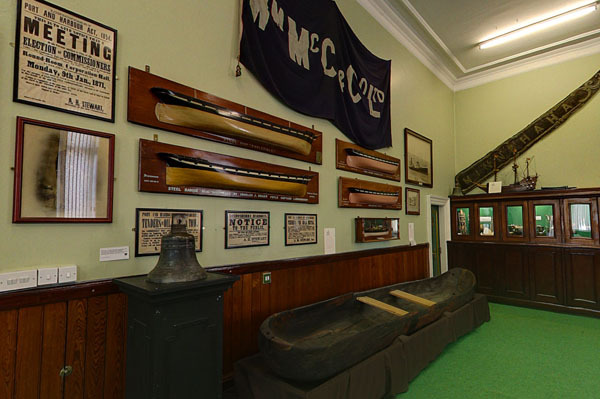 Close by at Magilligan, the Western Education and Library Board maintains an outdoor education centre to facilitate field studies. 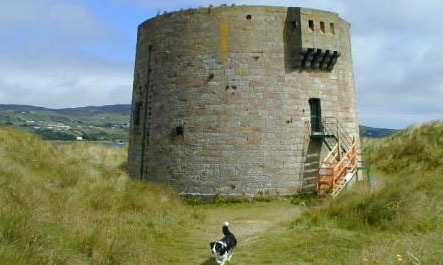 At Magilligan Point, a well preserved Martello Tower built during the Napoleonic Wars with walls over 9ft thick marks the entrance to Lough Foyle were transatlantic liners once halted to make their first port of call in the old world. A ferry service is planned to operate between the Point and the County Donegal village of Greencastle, less than a mile across the Lough. 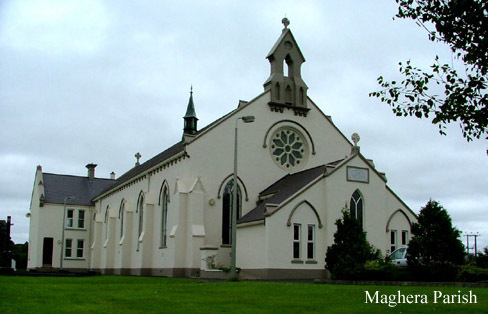 Magilligan is named after the family who were the hereditary farmers of the church lands of a former monastery at nearby Duncrun, and is an interesting case of a parish preserving a clan name, the older form being Ard MacGilligan. 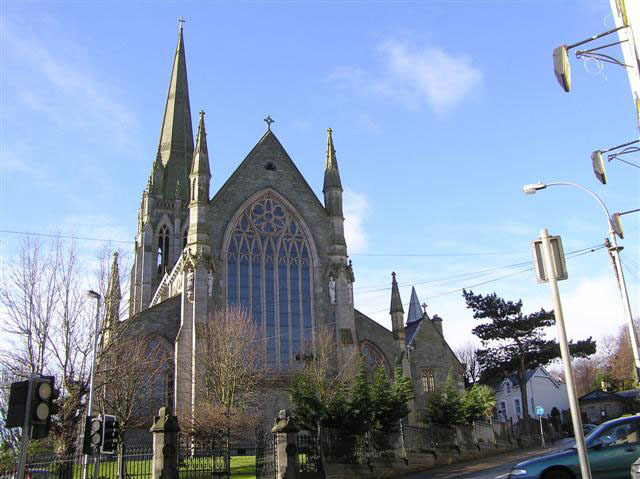 Magilligan was the home of a famous Ulster Harpist, Denis O'Hampsey who is buried in St Aidan's Churchyard. In November 1998 Limavady Borough Council erected a memorial to this musical genius at the O'Hampsey family grave. 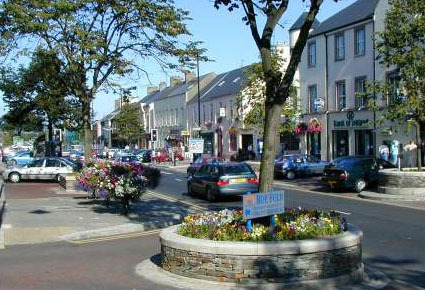 This picturesque district lies three miles south of Limavady. 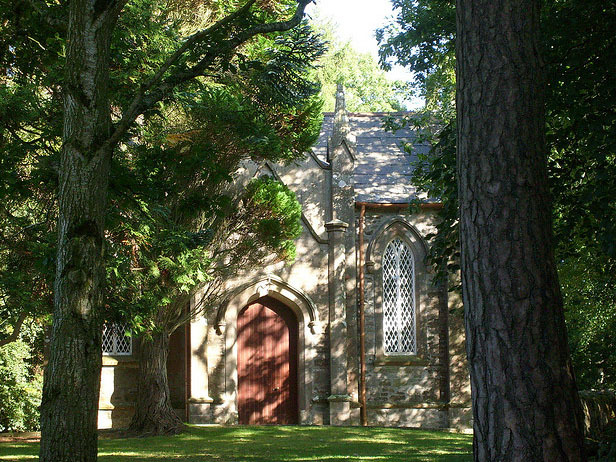 Here a small parish church stands perched on a cliff edge, high above a wooded gorge on the River Roe. 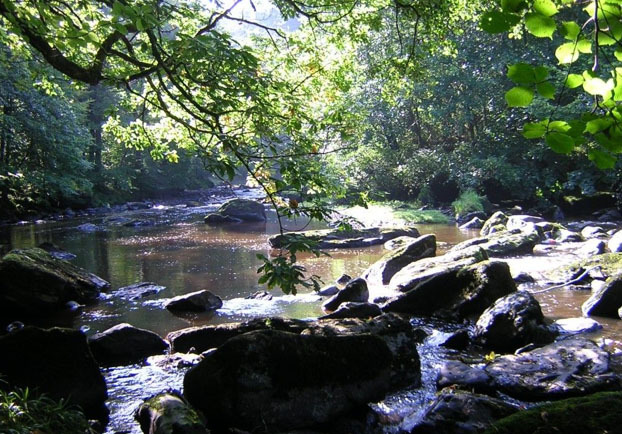 Carrick Rocks is the upstream boundary of the Roe Valley Country Park and there is direct access to this area of the park from public roads which terminate on either side of the river gorge. The best known features of this famous demesne are the exquisite Mussenden Temple and the ruined palace of the eccentric nobleman, Fredrick Hervey, the famous Earl Bishop of Derry. But if you enter the estate via the Bishop's gate you come upon an appealing modern ornamental garden in the gatelodge. Continue on up through the Black Glen to see a number of other interesting neoclassical buildings, two artificial lakes and some gigantic Sitka spruce. Demesne is always accessible. 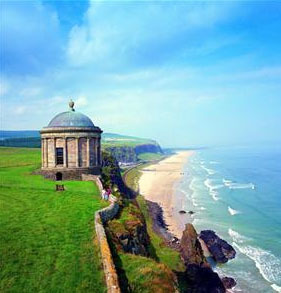 The National Trust opens the Mussenden Temple weekend afternoons April-Sept and weekdays in high summer. 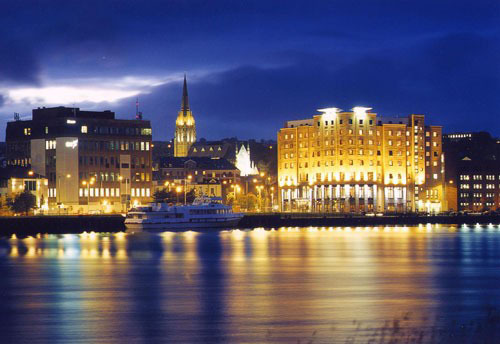 History of the city of Derry from prehistoric times. Audio-visual. Wheelchair access. Open Tuesday-Saturday 10am-5pm (later in summer). Price £3, concession £1, family £6. 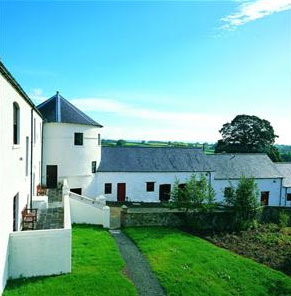 Exhibits inside this excellently restored fortified house of 1618 include local history and writings of Bellaghy born Seamus Heaney and other living Northern poets. Wheelchair access limited. Open Easter-Sept: Mon-Sat 10am-7pm Sun 2-7pm closes at 5pm rest of year. Price £2, concession £1. Built in 1633. Stained glass depicts heroic scenes from the great siege of 1688/9. The keys of the gates which were closed against the Jacobites are displayed in the chapterhouse. Audio-visuals on the siege, and history of the cathedral. Wheelchair access, shallow steps at entrance to chapterhouse. Open Mon-Sat: April-Oct 9am-5pm, Nov-March 9am-4pm. Price £1 children free. Transatlantic flier Amelia Earhart landed here in 1932. Sculpture and cottage exhibition. Open Monday-Thursday plus Friday mornings. Northern Ireland's highest waterfall. Walks. Always accessible. Ireland's northern most county, well worth a visit. 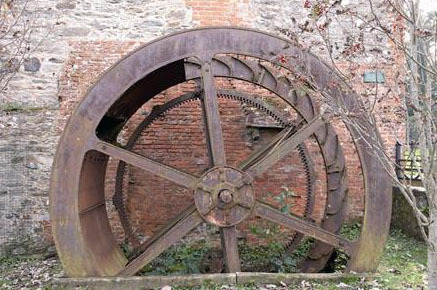 Water Mills once used in the production of linen. 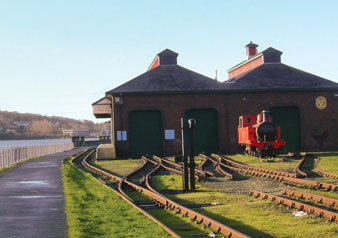 Museum, riverside walks. Park always accessible. Centre open daily. An excellent and ideal holiday centre for all the family 9 hole par 3 golf course, 4 tennis courts, 2 outdoor heated splash pools, Badminton, table tennis, Unique modern children's adventure play area, Golf practice range, Putting green, Bowling green, Nature reserve. Northern Ireland's first European Blue Flag and "Premier" Resort Seaside Award Beach. 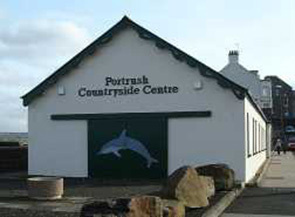 Situated on the A2 Coast Road, 12 miles form Limavady. Entertainment for everyone with an exciting summer events programme. An impressive ruin. 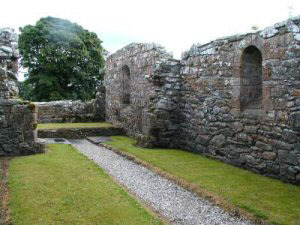 The nave was built around 1100, chancel added around 1200 with a tomb in the shape of an early Irish church. Free access always. Off B74, 2 miles south-west of Dungiven. Limavady is derived from the Gaelic "Leim an Mhadaidh" and means "Leap of the Dog". 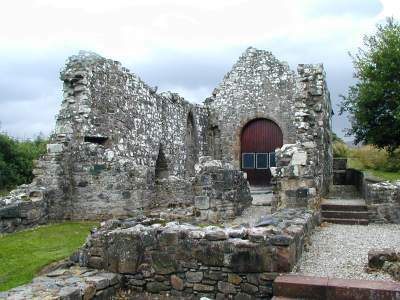 Augustinian priory with 15th-century tomb. Always accessible. 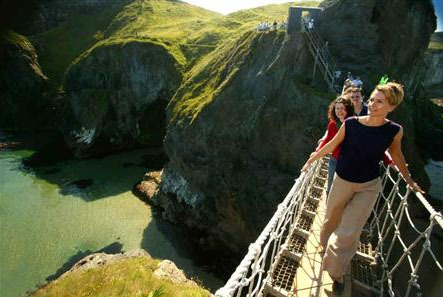 Causeway Coast and Glens is a tourist information site dedicated to the North East tip of Ireland. 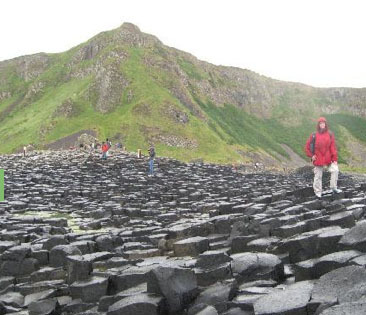 It is centred on the Giant's Causeway. Oldest whiskey distillery in the world, established in 1608. 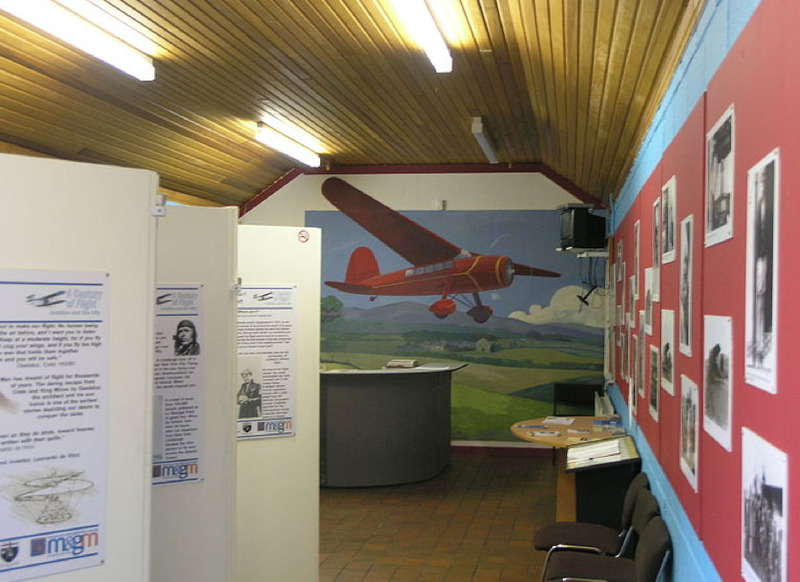 Visitor centre. Open April-Oct Mon-Sat 9:30am-5:30pm. Nov-March 5 tours daily 10:30am, 11:30am, 1:30pm, 2:30pm & 3:30pm sharp. Closed Good Friday afternoon and 12th of July. Please check Christmas and New Year opening times Tel: (028) 2073 1521. There is an admission charge. Animal touch tank. Open Wed-Mon in summer. Phone first. 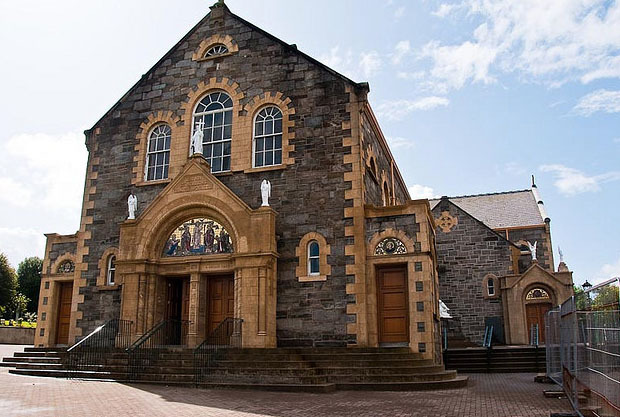 Carrick Church sits high above the Roe River, at the upper limits of the Roe Valley country park. 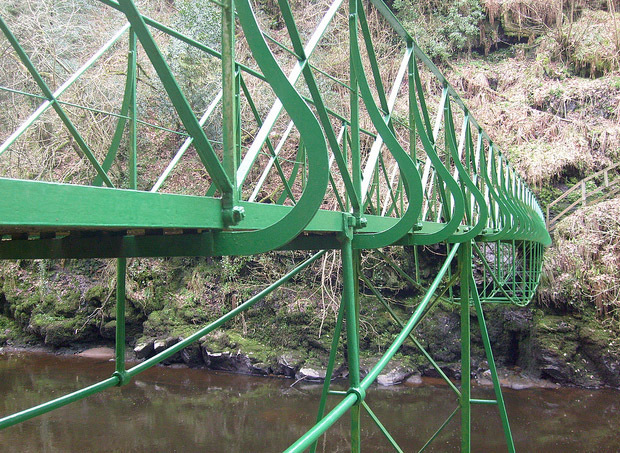 A path leads to a wrought iron bridge over the River Roe. 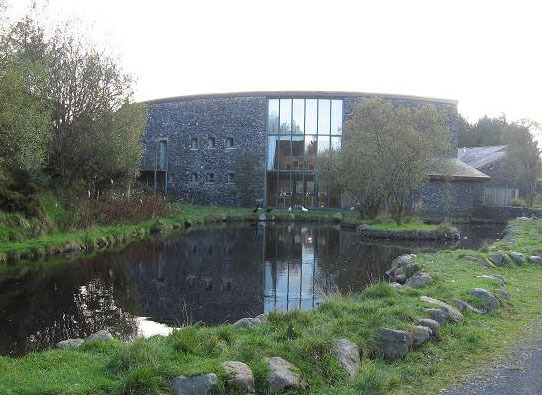 An Creagan Visitor Centre situated at the foothills of the Sperrins. The Centre is distinctively designed to mirror the archaeological sites of the area and gives you the opportunity to step back in time. 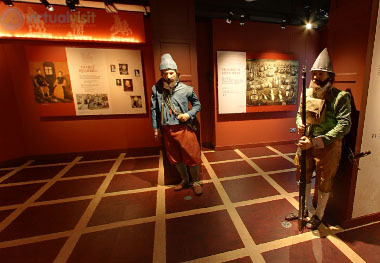 It also houses an Interpretative Exhibition and offers archaeological, environmental and cultural guided tours of the surrounding area.